Ħal Saflieni Hypogeum is a cultural property of exceptional prehistoric value. This unique monument dates back to early antiquity (about 2500 BC) and it is the only known example of a subterranean structure of the Bronze Age. The hypogeum was discovered accidentally in 1902 by a stonemason who was laying the foundations of some houses on the island of Malta. Temi Zammit, the first Director of Malta’s Museums Department, assumed responsibility for the excavation. His excavation yielded a wealth of archaeological material including much pottery and human bones, personal ornaments such as beads and amulets, little-carved animals and larger figurines. This ‘labyrinth’, as it is often called, consists of a series of elliptical chambers and alveoli of varying importance, to which access is gained by different corridors. The megalithic walls are constructed of cyclopean masonry – large irregular blocks of chalky coralline stone without mortar – which was summarily dressed with rudimentary tools of flint and obsidian. The principal rooms distinguish themselves by their domed vaulting and by the elaborate structure of false bays inspired by the doorways and windows of contemporary terrestrial constructions. The Hypogeum, which was originally conceived as a sanctuary, perhaps an oracle, from the prehistoric period was transformed into an ossuary, as borne out by the remains of more than 7,000 individuals discovered during the course of the excavation. The upper level consists of a large hollow with a central passage and burial chambers cut on each side. One of the chambers still contains original burial deposits. The middle level consists of various chambers very smoothly finished, which give the impression of built masonry. The workmanship is all the more impressive when it is considered that the chambers were meticulously carved using only flint and stone tools. Curvilinear and spiral paintings in red ochre are still visible in some areas. One of the niches in the ‘Oracle Chamber’ has the characteristic of echoing deep sounds. The carved facade is magnificent and the quality of its architecture is in a remarkable state of preservation. This is a very strange write up for a world heritage site visit. First, the history and significance of the site. It dates back to before the pyramids to the same culture which built the Megalithic Temples of Malt. In fact, you can see reproductions of many of the megalithic temples inside the hypogeum which are carved out of stone. There is no question that the site is of importance to our understanding of early humanity, as you can read in the UNESCO description above. Second, the site is physically located underground in the middle of a residential neighborhood (hypogeum means ‘underground’). There are some signs, but nothing which is going to jump out at you and scream “WORLD HERITAGE SITE”. The entrance is on a side street and is rather unimposing. 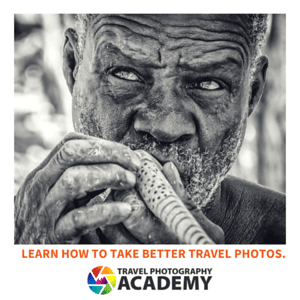 The photo above is what you will see from the street, and below I explain why this is the photo I have associated with this site. It is also a 10-minute walk from one of the megalithic temples in Malta, which probably makes them two of the closest world heritage sites on Earth. Third, access to the site is extremely limited. Only 10 people are allowed on each tour and there are only 6 tours per day. YOU MUST RESERVE TICKETS BEFORE YOU ARRIVE IN MALTA if you want to be guaranteed to get on a tour. There are a few slots available each day for last minute tickets, but they are only for 2 of the six tours and they are only for sale at the museum in Valletta, not at the hypogeum. In the short time I was waiting in the lobby (which is very small) at least a dozen people walked in hoping to buy tickets and were turned away. The reason for the small groups are two-fold: 1) There just isn’t much room in the hypogeum. Even with 10 people it often felt cramped. They could possibly run more tours, but I don’t think they could add the number per tour. 2) In an effort to preserve some of the paintings found on the rock, they limit visitors. This is to stabilize the air and limit the time which lights are on. Finally, YOU CAN’T TAKE ANY PHOTOS WHATSOEVER INSIDE THE HYPOGEUM. Not only can you not take photos inside, but Gary the traveling photographer can’t take photos inside, and even National Geographic can’t take photos inside. They have no exceptions and from what I’ve been told have never granted an exception to any media outlet. I begged and I pleaded, but they did not budge. Moreover, even if you did sneak a camera inside, it is so dark that you’d never get a decent photo without a tripod. There is no way a smartphone or a point and shoot camera is going to take a decent photo in that environment. A flash would ruin the artwork and there is no way you are going to sneak in a tripod with an SLR. I wasn’t sure what I was going to do as I post an image for every world heritage site I visit. I eventually realized that I’ve had this problem before, particularly at Ban Chiang Archaeological Site in Thailand and the Sangiran Early Man in Indonesia. Both are archeological sites which nothing to photograph. In both cases, I just took a photo of the entrance to the site and called it a day. That is what I decided to do here too. Ħal Saflieni Hypogeum is a cultural UNESCO World Heritage Site in Malta. It is located in Paola, Malta and is believed to have dated back to the Saflieni phase. This UNESCO site was founded in 4000 BC (the earliest remains on the site) and it was abandoned in 2500 BC. The site was initially excavated in 1903 until 1908 until it was stopped. Then, another period of excavation was held from 1990 to 1993. 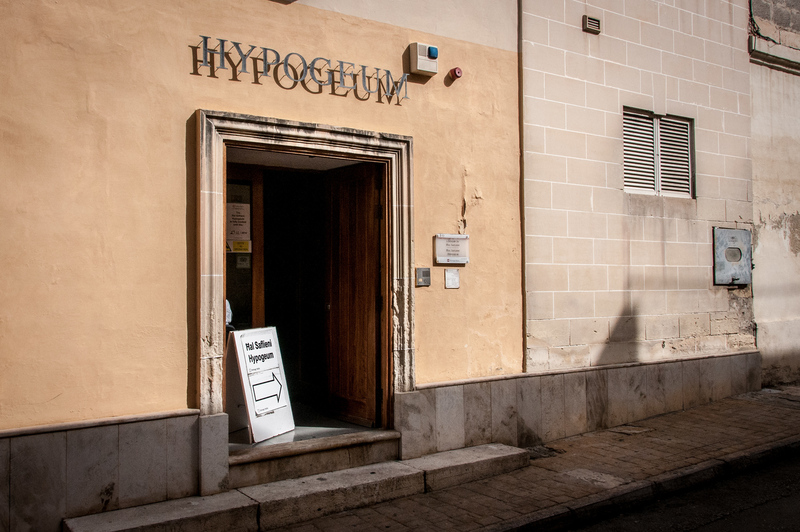 Ħal Saflieni Hypogeum is currently managed by Heritage Malta. It has been in a restored and preserved state since 2017. Although the site is open to the public, there is limited access to some areas of the site. Ħal Saflieni Hypogeum is an underground prehistoric site recognized by UNESCO as having cultural value. A construction work being done in 1902 led to its discovery. Since then, there have been excavation works done at the site to reveal more of this site. The entire area covered by the site and is protected by UNESCO is about 500 square meters. This site consists of a complex made with interconnecting rock-cut chambers. These chambers are located on three distinct levels. As mentioned above, the earliest remains at the site can be dated back to 4000 BC. The uppermost level of the chamber is made up of a large hollow that comes with burial chambers on the site. The archaeologists theorized that the hollow was once exposed to the sky. It also led them to conclude that there is a monumental structure that served as the entrance post. The middle level is opened up by a doorway. This is where you will find the most important structures that belong to the Ħal Saflieni Hypogeum. Some of these structures include an intricate red ochre wall painting and beautiful carvings believed to mimic the megalithic temples. The deepest and third level of Ħal Saflieni Hypogeum is also referred to as the Lower Level. You must climb down seven steps in order to get to this chamber. It is also popularly known as “Holy of Holies”. In 1908, the Ħal Saflieni Hypogeum was opened to visitors. Since then, thousands of tourists flock to this site. But this has unfortunately caused an impact on the microclimate of the site and especially noting how this is a prehistoric structure that is fragile and vulnerable to the elements. This prompted a conservation project to protect the site was started. Ħal Saflieni Hypogeum was closed for 10 years to keep the visitors off and to preserve the site. This was from 1990 to 2000. When it was re-opened, they had a new policy wherein only 10 visitors are allowed at a time and only up to 8 hours a day will the site be opened to guests. In addition to this, they had also set an environmental control system to regulate the temperature and humidity at the site. View a complete list of the UNESCO World Heritage Sites in Malta.